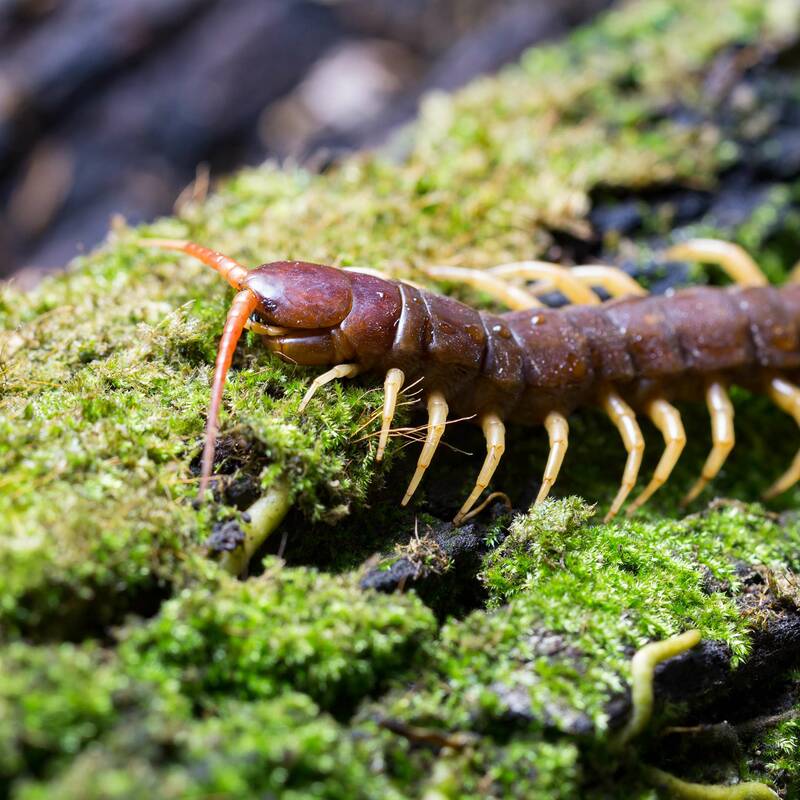 Centipedes are actually arthropods. They have an odd number of legs, ranging from 15 to 177, depending on the species. Size of the pests may range from 1/8 inch (4 mm.) to 6 inches (152 mm. ), although house centipedes tend to be a little smaller. 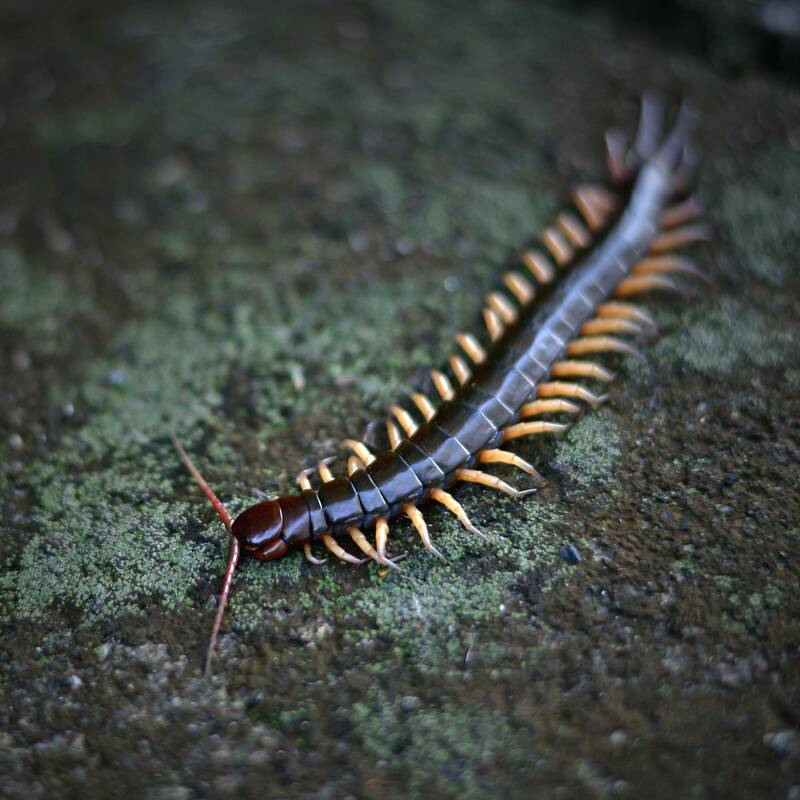 Outdoors, centipedes live in moist areas such as rotted logs or under piles of grass or leaves. If they invade your house, you may find them in bathrooms, crawl spaces or other damp areas. They generally don’t do serious damage, although they may be harmful if they invade your houseplants. Apply an aerosol insecticide along baseboards, cracks, crevices and other entry points. Be sure the product is labeled for indoor use and that it is registered for use against centipedes. Use an insecticidal dust in hard-to-reach areas such as under baseboards or in crawl spaces or attics. Commercial insecticidal soap sprays may be useful for small infestations, but repeat applications are usually necessary. 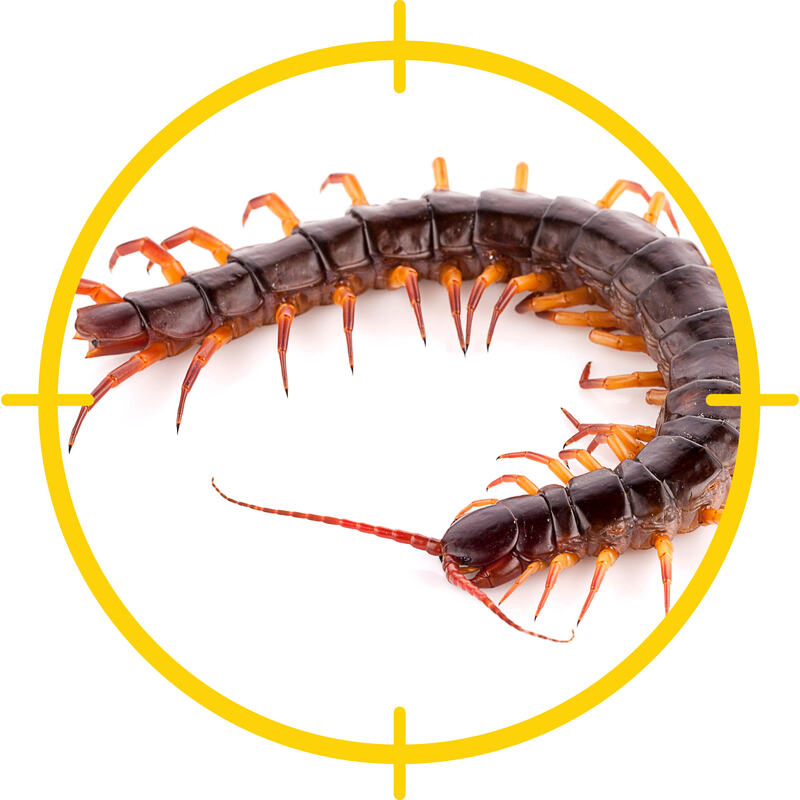 If centipedes are visible, spray them with an aerosol insecticide or a pyrethrin-based fog or spray. Place sticky traps along floorboards and in the corners of rooms. The traps will catch centipedes and other pests. Spray the perimeter of your house with an outdoor insecticide. Treat the lower part of your home’s exterior and a large band of soil surrounding your home. If you have ivy or other vines crawling up the side of your home, consider removing it. Ivy is a perfect hiding place for centipedes and other pests. Reduce clutter, which provides convenient hiding places for centipedes. Sweep spider webs and remove other insects that attract centipedes. Seal holes, gaps and cracks that allow centipedes to enter. Ensure spaces like crawl spaces and attics have adequate ventilation. Keep compost, firewood, dry grass and building materials a safe distance from your house.